Do you wonder if making money is all there is in your business? Do you look at your career and ask yourself: What do I want to do? Where do I want to go? Do you crave making an impact in the world and leaving a legacy of value? Ask no more! Take action! Book a complimentary coaching call with me and receive an expert, unbiased assessment of your circumstances. Learn why you are stuck—and why you’re a lot closer to a successful, rewarding career or business than you think. Now that’s value! With a Business Success Coach like me at your side, you’ll receive an expert, unbiased assessment of your circumstances and learn why you are stuck—and why you’re a lot closer to a successful, rewarding career or business than you think. Now, that’s value! Authenticity is underrated in our society. When we’re authentic in our self-expression, everything aligns, yes even the money. If you’re not making the money you want and deserve, ask yourself if you’re being authentic in your work, if you’re passionate about what you do, if your heart is truly in it. Find your answer. As your Certified Career Coach, Monica Magnetti provides business coaching services in person and by phone. Does your personal and business branding reflect your values? Is your brand on fire? Is your business aligned with your dreams? Book a complimentary brand assessment now—and find out. What do you do when your career or business isn’t feeding you like it used to? When you’ve lost your vision for why you’re doing what you’re doing? Most of us entered our profession with lots of enthusiasm and commitment. Somewhere along the way, we got resigned or derailed. As a certified career coach I can support you to get back to your original spark and regain your enthusiasm. As a personal career coach I have noticed that most of us are dedicated professionals who think we have to know it all—and do it all. This misconception often spreads us too thin and consequently dilutes our power: we don’t have the time or energy to do well the things we do well; and the things we don’t do well—that can be delegated or outsourced—suffer that much more. With my career coaching services I support you to surrender that there is one of you and that there are 24 hours in a day and therefore finding innovating solutions. Book a Career Coaching or a Business Coaching Session right now to write a new action plan. One that is authentically aligned with who you are in the present. THE MILLION-DOLLAR QUESTION: Where are you better served investing your energy and time? Achieve clarity about yourself and your Big Picture. Discover or reconnect with your professional calling. Assess, with that clarity and discovery/reconnection, your current priorities and goals. Create, attending to those current priorities, an effective plan to reach your goals that ultimately serve your purpose. 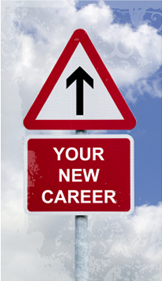 Career Coaching Services support people in defining their career path. 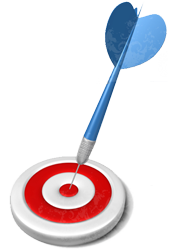 Business Coaching targets people who run or want to launch their own business. Though these terms intertwine, Monica Magnetti distinguishes them to better serve the distinct needs of her clients. Read the descriptions for both Career Coaching Services and Business Coaching to determine which best fits your objectives, and keep in mind that Monica will further tailor the coaching to your situation. Monica Magnetti is a Vancouver Professional Career Coach, though she coaches most of her clients over the phone as she supports her international clients to get what they want. You can tell when someone loves their job. When they’ve heard their call, gone after it, and achieved professional success doing what they love. When they’re living their ideal life. Career Coaching helps you zero in on what you want most from your work: autonomy, more free time or flexibility, personal or monetary reward, challenge, creative expression. Career Coaching equips you with a perspective and strategy that enable you to align your personal and professional lives—and achieve balance and fulfillment. Monica Magnetti is a Career Coach in Vancouver, though she has a roster of international clients whom she coaches over the phone. She supports her clients to get what they want, whether they are local or international. Reach all your professional goals. Assess your current career, all its pros and cons (you may already have the ideal career and not know it!). Describe the career that best satisfies you in all aspects. Brainstorm and research the relevant professional landscape. Update or revise your resume. Complete further education or study. Manage practical details (e.g., transportation, attire, childcare). Book a Career/Business Coaching Session right now. Let’s reassess your values and what you want from your business and career. Business Coaching is a support tool you can’t be without in this tremendously fast-changing business climate. To support her clients in staying on top of their game, Monica Magnetti regularly attends business courses and seminars, reads prodigiously on the topic of business, and, with her own support group, researches all the current and emerging trends in the business world. Monica works at pushing the envelope with you, so that you remain the sharp entrepreneur dedicated to making your unique contribution in the world. Monica Magnetti is a Vancouver Business Coach, though she coaches most of her clients over the phone as she supports her international clients to get what they want. Design your website and write the copy. Present your company professionally and authentically. Build a team to help you run your business. Find new ways to work less and produce more. Hold you accountable to your stated goals and calling. Brainstorm with you to think outside the box. Help you maintain balance and peace of mind. Model how to assess your priorities from a different perspective.